Hi there, Chris Hecker here, sneaking in at the top of this, the first post by the newest member of the SpyParty team, Keith Millot, more commonly known as zerotka in the lobby! 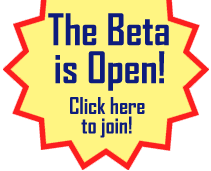 Keith has been a SpyParty beta tester since there were SpyParty beta testers…he was in the first batch of community invites oh so long ago—he even made an awesome video about his first year of beta testing—and he’s been an active member of the community since the beginning. He wrote the amazing Into the Mind of an AI series in the beta forums, analyzing the NPC behavior; it is required reading for anybody who wants to get good at the game (and I hope to make it public at some point soon). He’s been a great resource for ideas about the game, and as a big fan of streaming he’s helped me numerous times with advice on how to do that better. He helped out at PAX this year, although he tried to avoid my all-seeing camera. At some point, it just became clear he should join the team and start doing more frequent public writing and video editing for fans and beta testers. So, please join me in welcoming Keith, and you and I can look forward to more of these kinds of posts in the near future! Hello! My name is Keith, or zerotka in game, and I will be bringing you weekly updates for what’s going on in the world of SpyParty. This will allow you to keep tabs on all the interesting discussions on the forums and stay abreast of all the wonderful things happening in the SpyParty community. Speaking of wonderful things happening in the community, let’s talk about Spy on the Hill! krazycaley keeps his throne after another battle in Spy on the Hill. This will mark the 7th week in a row that KrazyCaley is king! 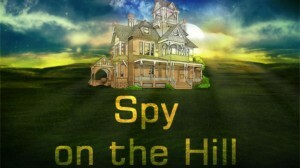 Spy on the Hill is a weekly competition where a challenger dukes it out with the current king for the throne. The catch is the challenger dictates what custom SpyParty game rules they will be playing. These rules can range from slightly unbalanced game types to completely wacky ideas, as you’ll see below! Strictly speaking, being king just grants you the title of being King of SpyPartia, the fictional country where all the Spy on the Hill events take place. You don’t get any prizes, badges, or special powers. However, this does not stop the community from taking it a little further and having fun with it. Every week the king issues humorous decrees and he has even appointed a royal advisor. Some people chime in with “Long live the king!”, while others say “Someone end this tyrannical reign!” It provides a little competition and it’s all in good fun. Full Random Mode. Each player will randomly pick a map and mission type. Being completely random can heavily favor the Spy or the Sniper. Having to do known mission types tend to favor the Sniper but doing any 3 of 7 favors the Spy. Spies must wait 30-60 seconds between each mission. This mode puts more cognitive load on the Spy because they have to keep track of when they completed the missions and plan accordingly. Snipers must say who they lowlight and neutral light. Spies can’t use their forward key. Spies now have knowledge of when they get lowlight and can get away with lots more because of this. However, not being able to use the forward key can cause some funky pathing. Players win by either playing Snaps McGee (the photographer) and finishing their missions or by getting the Sniper to shoot poor Snaps. This element adds more mind games to the mix. The Sniper must name a state in the USA whenever he or she lowlights, highlights, or shoots. States must be in alphabetical order. Snipers must know their states or be stringent with their highlights and lowlights. Each mission the Spy completes is counted as a point. Whoever has most points at the end wins. You don’t need to survive after you complete the missions, you just need to do them. This gives interesting opportunities to the Spy. Any SpyParty beta tester can sign up to be a challenger to the throne. It’s great if you can stream, but it isn’t a requirement. So, if you are interested in ruling over SpyPartia, feel free to sign up in the beta forums and come up with your own crazy custom rules! Will KrazyCaley remain the king for next week and issue new decrees, or will this week’s challenger come up with a clever game modification that ends KrazyCaley’s winning spree? Find out later this week! 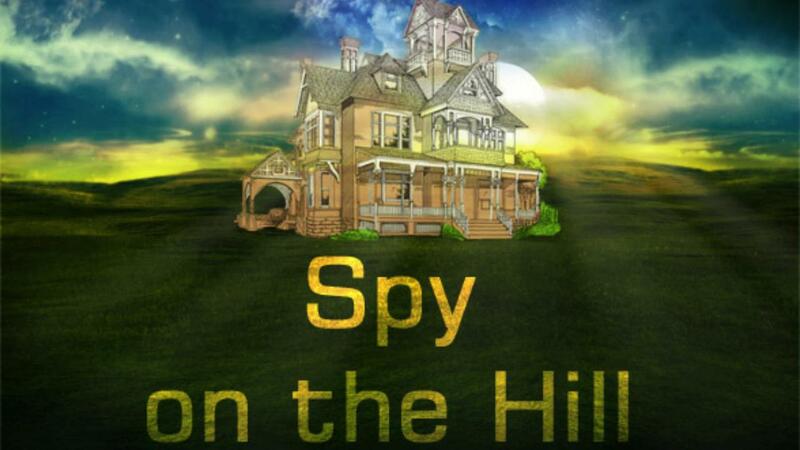 Spy on the Hill usually streams on Friday evenings around 7pm, US Pacific time on the SpyParty twitch channel. In my opinion, competition brings a lot to any game. It helps build the community and allows onlookers to admire some of the best players out there, but more importantly, it helps create stories that people can relate to. If someone new is watching the game, they probably don’t know too much about it. Sure, they can get the gist of things, but they might be missing some aspects that will make it interesting for them. Why would they watch a game if it’s mainly just gibberish to them? Stories are something that everyone can relate to, and they make the game better for both new players and for people who are well-versed in the game. One classic story that often emerges is “the underdog”. Research has shown time and time again that we love to root for underdogs. This is something we can all get behind, regardless of our knowledge of the game. Another good example is the story of “the comeback”. In this story the current champion gets beaten and after some time passes they get a shot at being the champion once again. Everyone knows that they are capable of being a champion but are they able to do it again? With Spy on the Hill, we get a glimpse of the future of competitive play in the game. Also, you may recall this isn’t the first competition SpyParty beta testers have held. Previously we’ve had other player-organized tournaments, including the “New Years Cup” and the team-based “Pre-Open Beta Tournament”. I am sure there will be many more to come, especially when spectation and replays make it into the game. What better way to test a feature than to use it? The community has done some pretty amazing things and will continue to do so. Spy on the Hill is just another thing to add to the list. First and foremost, congratulations to Zero! I think that having you around to enrich us in an official capacity will be awesome! Re: SotH – Sometimes I worry that Spy on the Hill might be a new player’s first experience with the game. Pros – tense, exciting! Cons – Not what “normal, solid” SpyParty play looks like. You bring up a good point. Hopefully this experience may encourage them to check out more videos from streamers or youtubers and get a feel for what they are looking for. Perhaps they are okay with it just being a form of entertainment for them. There is a saying out there that goes “Any publicity is good publicity.” While this can be debated, I am okay with a new players experience being Spy on the Hill vs something really negative. Indeed. Someone who’s COMPLETELY new probably doesn’t actually see too much practical difference in the weird SotH gametypes anyway. I think it’s good that we have an EVENT that is run consistently, and that it has two great casters to work on it. Congratulations Zero, it is really great going to have someone coordinating the community. Also, thank you for all the praise to Spy on the Hill. It has not gone completely as I have imagined but it is still something that is really fun and great to watch from my point of view. Yikes, I think we neglected to mention it was your idea! I will fix this now! I hope I do not disappoint you Mr. Wodar. I can’t help but think of the first time we met. You were walking past, we both glared at each other; it was awesome. That was hilarious. I love how we were looking at each other questionable until you finally said something into your phone and it came out of my phone. One of the best moments of PAX for me.